Most people may come to Miami because they want to party on the beach, but the pool party scene on South Beach can be just as popular. Hotels go to great lengths to build the most attractive pools and create an atmosphere of fun and enjoyment. When it comes to partying by the pool, there are tons of great locations on South Beach, but here are seven locales that stand out above the rest. On the west side of South Beach is the Mondrian, which is not only home to one of the best sunset views in Miami, but also has the perfect pool to host a party on the weekends. Saturday afternoons, you’ll enjoy the pool with fantastic house music in the background, while on Sunday you’ll get a combination of reggae and classic hip-hop, so take your pick on which day suits you better. If you’re not a guest, you’ll have to spend at least $50 on food and drink, but that’s a small price to pay for a day at such an exceptional pool with a great party atmosphere. This upscale hostel gained notoriety on South Beach in large part because of its fun and unique pool parties. The décor and atmosphere is definitely different from what you’ll find at most 5-star Miami hotels, but the cocktails are among the best you’ll find in Miami Beach and the parties are fueled by the best DJs South Florida has to offer. It’s hard to go wrong with a rooftop pool, especially at 1 Hotel, where the pool is complemented by a great view, an outstanding bar, and music provided by some of Miami’s best DJs. The pool party at 1 Hotel may be a little more laid back than some of the others on South Beach, as the location of the hotel allows it to avoid some of the traffic and large crowds that sometimes plague Miami Beach, but that just makes this pool party more exclusive. Even if you don’t step foot in the water at the Raleigh Hotel, the two-tiered pool is one of the most iconic on South Beach just to look at. The pool itself is shaped like a 1940’s era crest and sits adjacent to a vintage, old school diving board. The pool area is spacious with an array of luscious palm trees around the perimeter, providing shade and places to sit and relax. If you want to go to a pool party in a location that’s breathtakingly beautiful, the Raleigh Hotel is the place to go. Located at the Dream Hotel on South Beach, Highbar is one of the best hotel pools in Miami. It’s located on the roof of the hotel, meaning there are spectacular views of the ocean and the rest of South Beach. Highbar has also gained a reputation for being a place for some memorable parties over the years, so you never know when you’re going to be part of one. The pool itself is great, and the decorations around it are second to none. The best part is there is no cover charge for the general public, so everyone is free to come check it out. The Surfcomber Hotel pool may be ground zero for the South Beach pool party scene. There are certain times of year where the parties by the pool just get out of control, but really any day of the week there’s a good chance there’ll be something special happening. Between the cabanas and the ocean-adjacent pool area, the Surfcomber Hotel pool has everything necessary for a memorable pool party. Located at the SLS Hotel, Hyde Beach offers one of the most unique and innovative pools on South Beach. For starters, there is a 10-foot tall and 700-pound silver duck statue, which is the perfect complement to two pools that are designed to resemble a bathtub. It’s an amazing design, and for some reason it helps create an incredible party atmosphere at Hyde Beach, because there are plenty of people who keep coming back, knowing it’s one of the best party hot spots on South Beach. A Saturday night in Miami can be a thing of beauty. There are trendy nightclubs, outstanding music venues, plenty of amazing restaurants, and so much more to do and experience. Of course, the best way to follow up an eventful Saturday night is with a delicious Sunday brunch. Fortunately, South Beach has you covered. Here are 10 great places to go in Miami Beach for Sunday brunch. Brunch is relatively new at Pubbelly, but this restaurant is made for it. It’s a casual place, which is perfect if you want to go to brunch but only if you can wear your flip-flops and sunglasses. Most dishes at Pubbelly include some kind of delicious pork, but if everyone in your party isn’t in the mood for pork, Pubbelly offers plenty of healthy options like granola and berries, creating a good balance of food options. Lincoln Road is a great place to hang out day or night, but when it’s time for Sunday brunch, Juvia is the place to go. Like any great French restaurant, there’s plenty of champagne available, even during brunch. In terms of food, there are great seafood options and a slew of delicious appetizers that can be passed around the table and shared, leading to a wonderful, family-style brunch. For an Italian-style brunch, this is the place to go, especially if you can catch the Italian dim sum brunch, which Macchialina holds just once a month. There’s plenty of alcohol available, if that’s what you’re looking for, but aside from that the entrees are rich and filling, and the a la carte menu is something more restaurants should aspire to. Best of all, the prices at Macchialina are among the best you’ll find at any brunch place on South Beach. This is a great American bistro with a great American brunch. The sausage, egg, and cheese popovers are guaranteed to hit the spot on a Sunday morning. 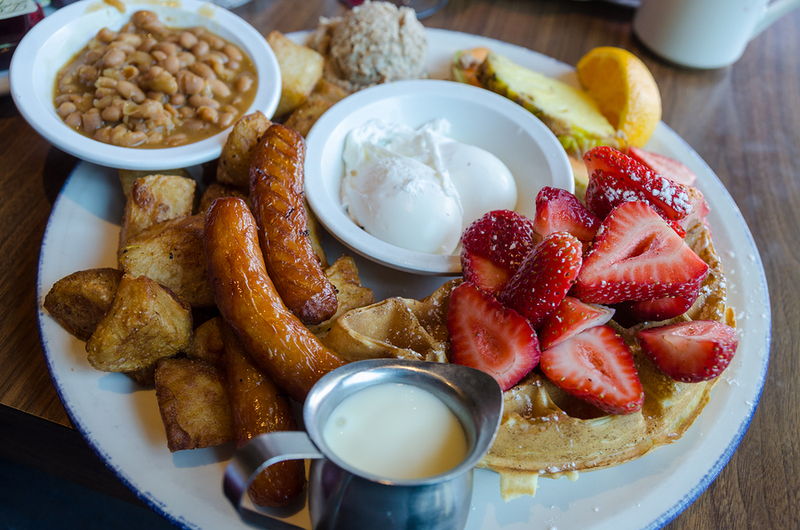 If that’s not what you’re in the mood to eat, you have waffles, omelets, and eggs Benedict to choose from as well. The menu isn’t flashy; it’s just a good old-fashioned dependable Sunday brunch. This Mediterranean restaurant has one of the best brunches on South Beach. The buffet has an almost endless number of gourmet options that will keep you there for hours on end. You also have the option of bottomless mimosas, bloody Mary’s, and sangria while you eat. It’s not the cheapest place out there, but if you’re looking to indulge yourself and have an extravagant Brunch, Vintro is the place to go. Located at the Fontainbleau Hotel, Hakkasan is the ideal place for an affordable family brunch with an Asian twist. Hakkasan offers a dim sum basket that contains all you’ll need to get your Sunday brunch started the right way. After that, there’s plenty of shrimp, beef, vegetables, and noodles available to keep you satisfied. In addition to being a romantic place to bring a date on a Saturday night, Cecconi’s is also a fine option for the next morning. There’s a buffet that includes just about anything you could ever want, including pasta, pizza, steak, fish, pancakes, and even oysters. That’s quite a selection, even for brunch. On top of all that, there’s also an omelet station in case you’re in the mood for a more traditional brunch. Brunch is a new endeavor for the Continental, but they already have a good handle on how to do it right. They offer all the classic brunch options and they take their time to make sure make them right to keep the customer satisfied. There’s no shortage of great options, and waiting for you at the end of the meal is some delectable monkey bread. For a southern brunch, this is the ideal destination. It all starts with fried chicken and waffles, which is the ideal way to start your Sunday in the south. If you’re looking to indulge in your sweet tooth a little more, try the maple-glazed bacon doughnut, which is mouth-watering. Yardbird also has homemade pies and cornbread, completing the ideal southern brunch. If mimosas are your biggest priority when it comes to brunch, 27 Restaurant & Bar may be the place for you. This place serves up great cocktails at night, and they definitely know how to make mimosas the next morning. Of course, the food is great too, with traditional brunch options and plenty of buttermilk biscuits that are among the best in Miami and the perfect side dish for your Sunday brunch. 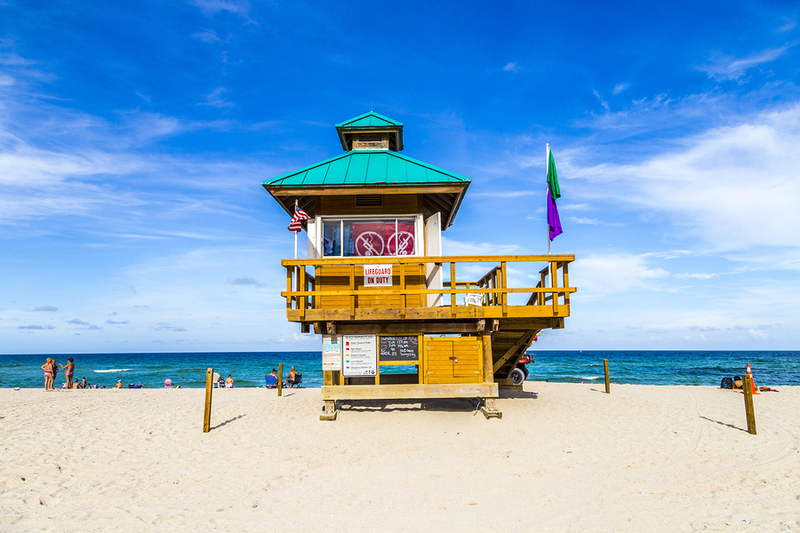 There’s no denying that the weather in Miami can get quite hot, especially in the summer, but that’s no reason to avoid visiting one of the most enjoyable cities in the world. Sure, there are times when the summer heat becomes too intense, but there are ways to get around it. 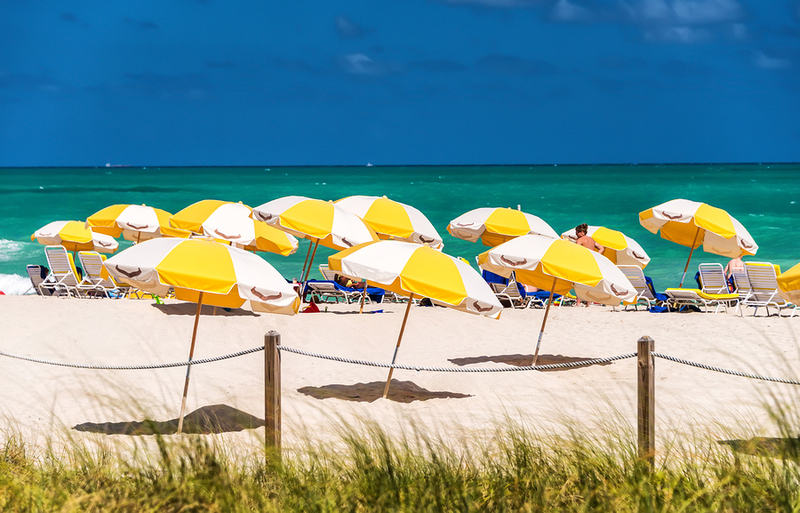 Here are seven things you can do in Miami when you want to beat the heat. Baseball is the quintessential summer activity, and fortunately, Marlins Park has a retractable roof that the team closes when it gets too hot, keeping you protected from the heat. In addition to watching the team play, the ballpark offers plenty of spectacular sites to check out, including an actual marlin tank, keeping you entertained and cool at the same time. Located in Coral Gables, the Venetian Pool offers cool, fresh, and chemical free spring water that is guaranteed to cool you down on a hot day. The pool is big enough to handle large crowds, giving guests plenty of room to swim, play games, and just enjoy the cool water that comes from artesian wells. With waterfalls, a grotto, and resplendent plant life, Venetian Pool is one of South Florida’s most visually spectacular sites, as well as a place to beat the heat this summer. With the hot sun beaming down on you, the best place to escape is a cold, dark space, which is exactly what you’ll find at Laserland & Adventure in the form of a giant laser-tag arena. No matter how old you are, playing laser-tag for a few hours is a blast, and if a few hours in the arena aren’t enough, there’s also an ice-skating rink that is guaranteed to keep you cool. The summer heat can definitely put you in the mood for a cold beer, so why not make an afternoon of it? Brew Bus can take you on a tour to some of the best craft breweries in South Florida. It’s a great way to tour a few breweries in one day without having to worry about driving to each one yourself, and it’s a great way to take your mind off the summer heat. The zoo may not be the first place you think of to beat the heat, but there is plenty of shade available, so you can always find a place to sit and rest if you get hot and tired. More importantly, Zoo Miami has splash parks and playgrounds where kids can hang around all day to help keep them cool, so at least you won’t have to listen to them complain about how hot it is; that in itself will make the heat feel a whole lot more manageable. Ice cream is always a good option on a hot day, and the city of Miami has plenty of great places, but the top place to go is Lulu’s Nitrogen Ice Cream. The place uses liquid nitrogen to turn your ingredients into a delicious frozen treat, complete with a cloud of smoke to create some theatrics, giving you both entertainment and a tasty treat to help you cool down at the same time. Water parks are the perfect place for families to go on a hot day, and Miami has a great one in Grapeland Water Park. There are pools, water slides, playgrounds, and even a lazy river, so there’s something for everyone to enjoy regardless of age. Most importantly, it’ll cool you down in a hurry whenever the summer heat becomes too much to handle. Summer is in full swing on South Beach, and if you had fun on the 4th of July, you haven’t seen anything yet. The city of Miami has plenty of fun lined up for the month of July, making South Florida a great place to be. In addition to some of the great activities you can do in Miami on a daily basis, here are five awesome events you have to check out in July. Miami is a great place to go to pamper yourself, so much so that the city’s spa month actually lasts for two full months. Anywhere you go on South Beach, there will be places where you can get all kinds of body scrubs, massages, facials, and more, so during the months of July and August, take advantage of it. There will be special deals and packages available at spas throughout Miami over the next two months, and you’d be foolish not to treat yourself to a day of getting pampered at one of Miami’s world-class spas. If you enjoy truly unique forms of entertainment, you have to check out Cirque Eloize Cirkopolis, which will be at the Adrienne Arsht Center for the Performing Arts on Biscayne Boulevard for most of July. The show combines elements of dance, theater, and the circus to create a spectacular acrobatic display that will have your jaw on the floor. The reviews of the show have been fantastic, and this is definitely something you won’t want to miss. If you liked the movie The Little Mermaid (and let’s be honest, we all did), you’ll want to see the stage show. You’ll get to hear all of your favorite songs that will guarantee that you start feeling nostalgic about the movie. Tickets are quite affordable, making it the perfect way to spend an evening with your family, hopefully exposing your kids to the wonder that is The Little Mermaid. On the surface, this may not seem like one of the most exciting festivals there is, but if you’ve ever tasted a mango, you know that they’re one of the best tasting fruits in the world, and that’s a good enough reason to check out the International Mango Festival. There are plenty of activities and tastings happening at the festival, involving both mangos and other fruits. There will be plenty of entertainment for kids, so it’s an event the whole family can enjoy. The festival is being held at the Fairchild Tropical Botanic Garden in Coral Gables, which is one of the largest and most picturesque parks in South Florida, meaning there’s very little downside to checking out the International Mango Festival. If you consider yourself or foodie, or even if you just find yourself watching the Food Channel on a regular basis, this event is for you. It gives you the chance to watch some of South Florida’s best chefs engage in a cook-off against one another. If that’s not enough, you’ll also be able to sample food from over 70 Miami area restaurants, giving you a good idea of where to eat the next time you go out. It’s a three-hour event and general admission tickets are just $45, and if you get there on time you can fit a lot of food and fun into those three hours.